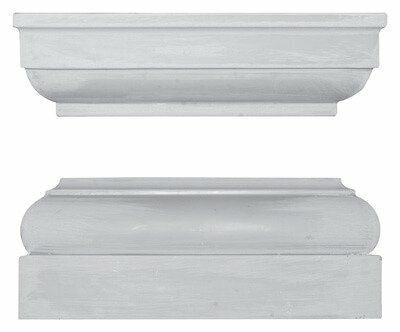 Architectural Mall manufactures an assortment of column capitals and bases. 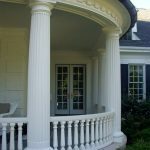 We offer Tuscan caps and bases for all of our columns without exception. 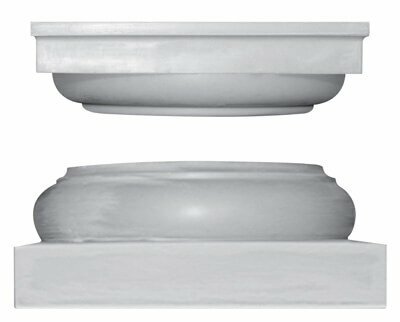 We are one of the only manufacturers that offer Tuscan capitals with a round abacus and Tuscan bases with round plinths. 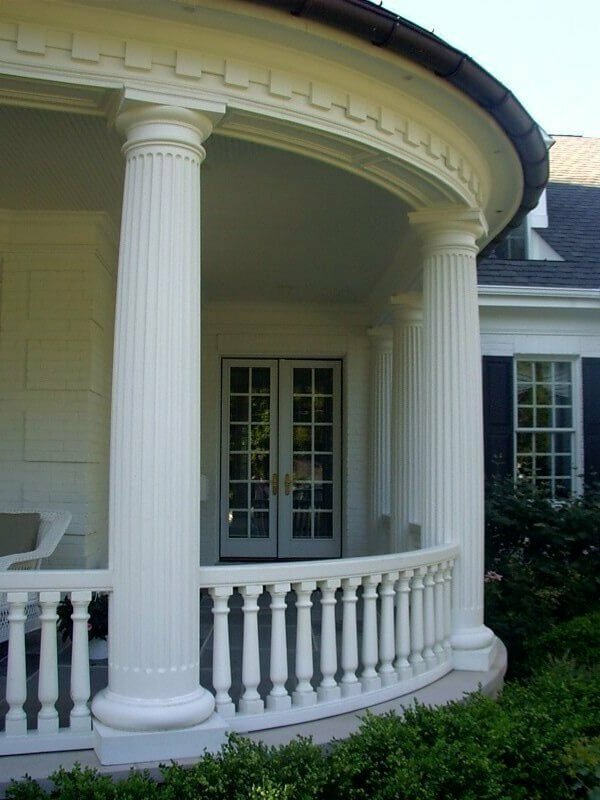 * Tuscan Cap style depends on whether or not the column shaft has a second ring above the bead or astragal to support the capital. 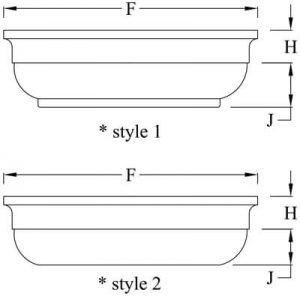 When a shaft with a secondary ring is installed with a Tuscan cap of ”style 2”, the appearance of the cap and second ring is that of ”style 1”. All bases are available without the plinth or with a round plinth instead of square. 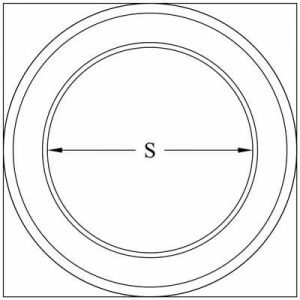 The plinth diameter may vary slightly from the plinth width when opting for round instead of square. Some Tuscan Bases do not have the slight curvature to the top of the plinth. 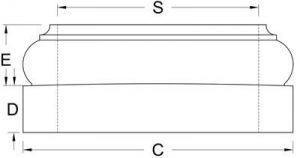 Plinth height may be shortened or heightened to your specifications.